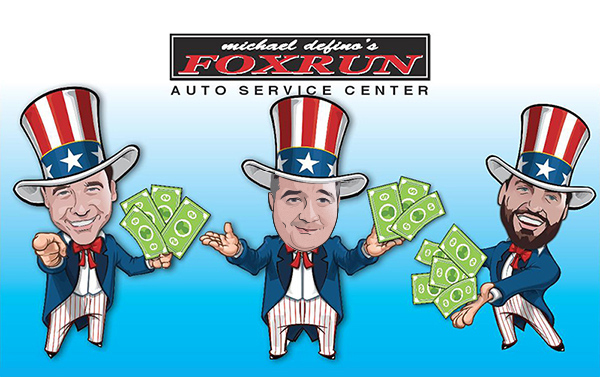 Special Financing | Fox Run Auto Inc. - Fox Run Auto Inc.
Fox Run Automotive and Napa have teamed up to offer Special Financing when the need arises! Auto Repairs rarely come at a convenient time. We all lead very busy lives, and interruptions can be difficult to overcome. Fox Run Automotive has partnered with Napa to provide special financing on most automotive repairs. Smart financing can help get you over the hump when it comes to unexpected repairs. Controlling your cash flow with specific funds for your auto repairs can allow for timely servicing as well as unexpected breakdowns. Have you been putting off some needed repairs? Is there a car sitting in your driveway, waiting for a sign. Now's the time. Give us a call, or stop in for details. *Subject to credit approval. Minimum monthly payments required. Please see Fox Run for details.